Digital flipbooks have quickly become one of the most effectives way to engage your audiences online. They allow you to create online flipbooks that look and function just like print publications, implementing not only the same visuals and formatting, but also integrating a lifelike page-turning experience. WordPress is one of the world’s most popular web hosting services, offering versatile site-building services that can allow even the most novice user to create amazing websites with an increased sense of functionality — often due to the abundance of plugins. For those that want to place a digital flipbook or e-catalog on a WordPress site, you’ll need the right plugin to make it all work. This article will walk you you through the process of installing a WordPress flipbook plugin in just a few minutes, from one of the most used digital flipbook platforms currently available. 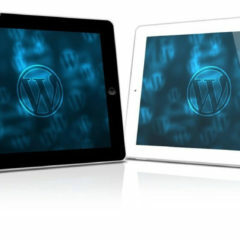 When it comes to getting the most out of a digital flipbook, embedding it into a WordPress site certainly ranks high. The combination of one of the most versatile and user-friendly website hosting services with an online flipbook results in highly engaging and visually appaling content that can captivate readers, and also drive online sales. Where you host or embed your flipbook is only part of the equation, however. WordPress flipbooks are a perfect match, but you also need a way to promote them, and what better way than on social media? If you’re wondering how all this works, you’re in the right place. Read on to see what the best social media platforms are for promoting and sharing your WordPress flipbook. Are you familiar with what a digital catalog maker can do? If you’re still in the dark about this amazing (and surprisingly simple) technology, it’s time to see the light. Digital catalog and flip book makers have revolutionized the possibilities we have with everything from actual print documents, to catalogs, brochures, online magazines, newspapers, and basically anything else that involves any type of document. With a few clicks, you can instantly convert PDF files into fully interactive digital publications that offer all of the same graphics and text of a print publication, with the ability for enhancements via video & audio files, hotspot linking, SEO, and more. Digital catalog makers with html5 are a big reason behind why these are now so easy to use and integrate. Curious? Of course you are. Read on to find out all the benefits you can get from using a one. Digital flipbook makers continue to amaze as they rapidly improve their functionality and capabilities. 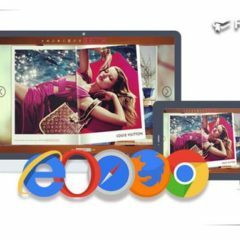 Although they were once reliant on flash animation and often involved slow loading times, most flipbook makers have now integrated html5, giving the the ability to run on more platforms and browsers. Confused on where to start with using jQuery with your flipbooks? You’re in the right place. 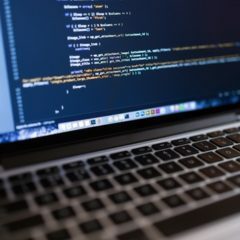 Read on to find out some helpful tips that can instantly have you using jQuery tools like a seasoned pro. All you’ll need is about 10 minutes. Flipbook Versus PDF: Ready To Rumble? PDF files once represented a new age of digital content, especially in terms of creating print documents in a digitized format. It’s true that PDFs can still serve several different purposes, such as preventing plagiarism. But here’s the thing though: PDFs in and of themselves have become largely outdated, mainly with regards to using them on their own. Flipbooks offer a modern take on PDF files, turning documents that were once the opposite of user-friendly into an appealing and immersive experience that replicates what you’d get with a physical copy. Page turning graphics, integrated multimedia, and even SEO functionality are just a few of the things digital flipbooks can offer with plain old PDF files. Read on to see why the clear winner in the Flipbook versus PDF fight is the newer of the two, and how flipbooks provide a useful opportunity for transforming ordinary PDFs into a superior end product. For those who are still somehow in the dark, digital flipbooks have come a long way from the dull, dysfunctional versions of years past. With an animated flipbook, you now have the ability to create lifelike online versions of any print publication, with the option to optimize it even further by implementing things like multimedia and outbound linking. Marketers and publishers who get on board with animated flipbooks have a leg up on their competitors, especially as content becomes increasingly digital-based, even for traditional print outlets. Still, there are some who are still unaware of what animated flipbooks can do — and just how easy they are to use. If you’re in need of a quick primer, you’re in the right place. Keep reading to get up to speed on this amazing and versatile software.